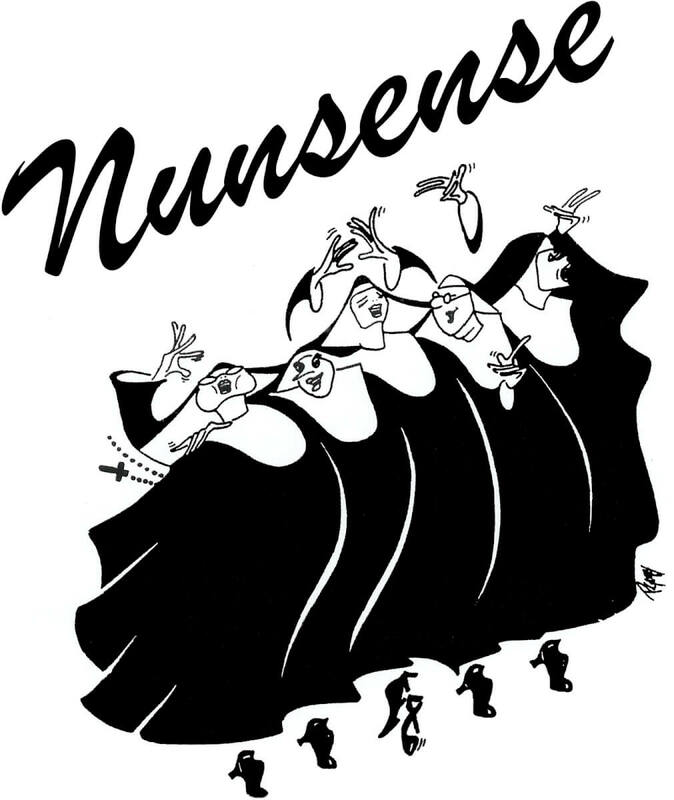 NUNSENSE begins when the Little Sisters of Hoboken discover that their cook, Sister Julia, Child of God, has accidentally poisoned 52 of the sisters, and they are in dire need of funds for the burials. The sisters decide that the best way to raise the money is to put on a variety show, so they take over the school auditorium, which is currently set up for the eighth grade production of Grease. Here we meet Reverend Mother Regina, a former circus performer; Sister Mary Hubert, the Mistress of Novices; a streetwise nun from Brooklyn named Sister Robert Anne; Sister Mary Leo, a novice who is a wannabe ballerina; and the delightfully wacky Sister Mary Amnesia, the nun who lost her memory when a crucifix fell on her head.